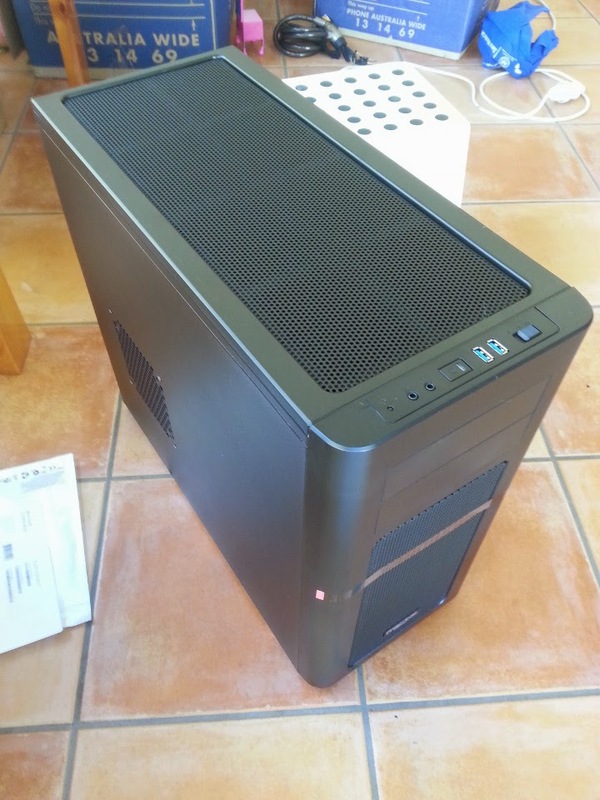 Initial reaction to the Fractal Define Arc Midi R2 is that for a mid-sized case, it's...big. At least, it's very wide. Good for big CPU coolers if needed (180mm of clearance). The case has some nice features, including an in-built fan controller for up to three fans. The switch for fan speed levels is built into the front of the case. Switching between the speeds after completing the machine, at 12V the fans audible but not too noisy, while down at 5V they're barely audible at all. On to the rest of the components. 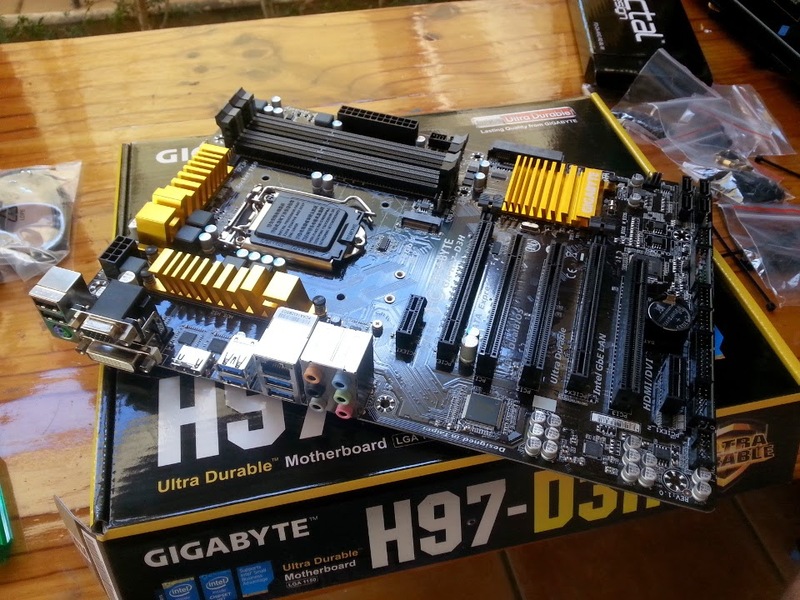 CPU is the i5-4590, motherboard is the Gigabyte H97-D3H. Both solid mid-range options for a non-OC machine. 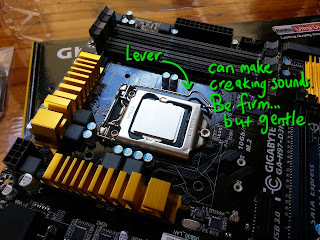 I've heard people say that when installing an Intel CPU for the first time, they get a bit scared by the sounds that the lever used to hold the CPU in place can make. It can make creaking sounds, but this is normal in my experience. It is applying a fair bit of force, since it needs to keep the CPU absolutely stationary in its socket. Next I installed the RAM and cooler. I did this outside of the case, but that turned out to make accessing the top left of the motherboard awkward when screwing it in place (fat fingers!). Putting the motherboard in first and then mounting the cooler (there is a cutaway behind the motherboard that lets you do this) would have been easier. 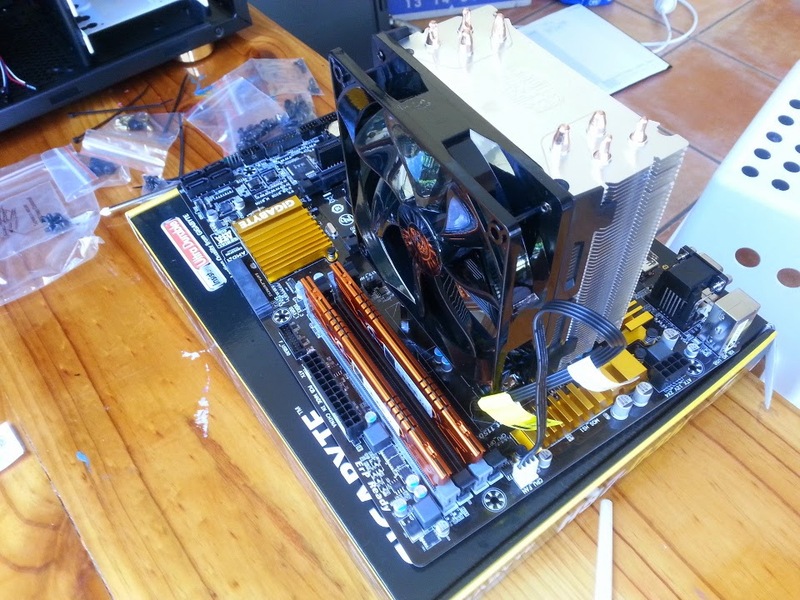 And while this is a non-overclocking machine — and so the stock cooler would have sufficed — for a little extra quietness I got the aftermarket cooler. Adding the other components to the case was fairly straightforward. 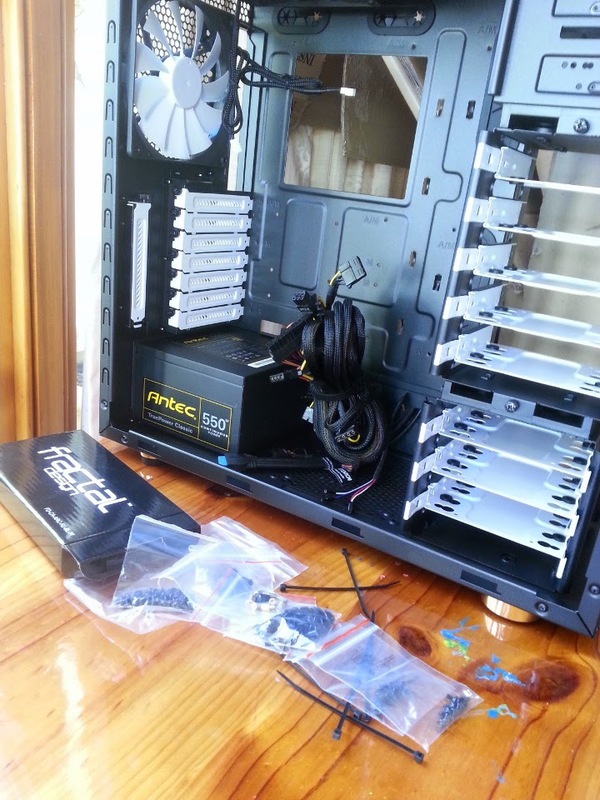 The drive bays all have rubber sound-reducing grommets to screw hard drives into, and mount points for SSDs. 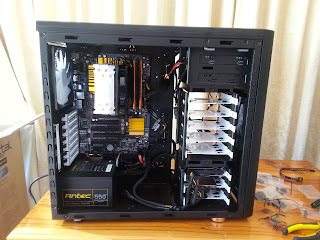 Cable management was an absolute breeze in this. I think I only used two of the cable ties that came in the box, the rest more or less managed itself. I'm far from great at cable management, but this case made it really easy. 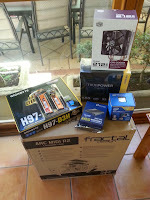 The picture above is the complete machine, minus the graphics card, which I'm waiting on for stock. 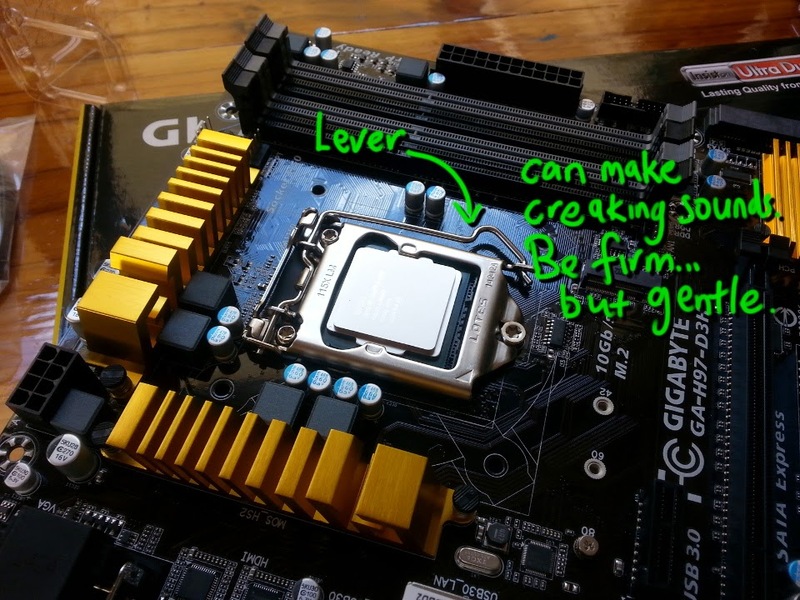 Intending on a GTX970, hopefully an MSI model so it will fit without needing to remove the top HDD cage. 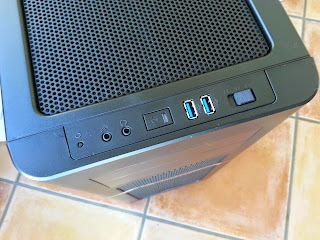 The loose cable at the bottom of the case is the PCIe power connector for the GPU. I'll post an update when the GPU is in. 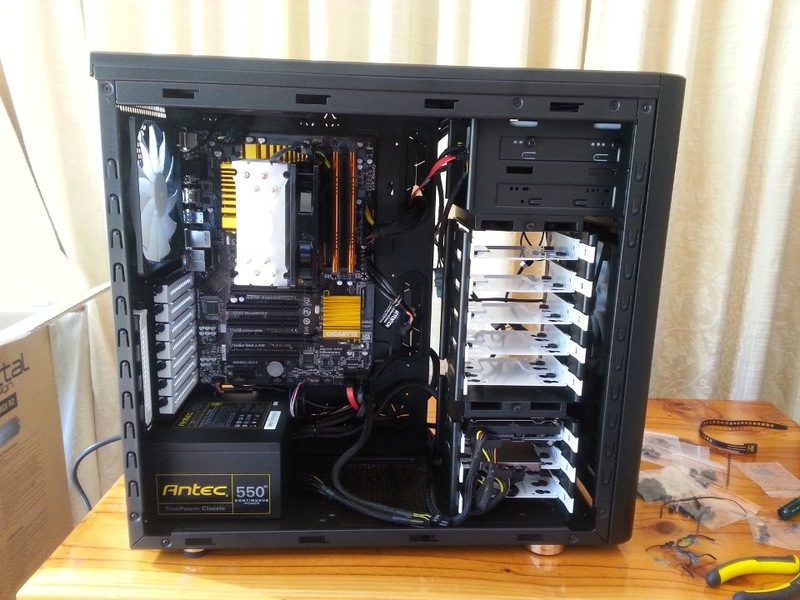 Currently the machine gets about 10FPS on the Unigine Heaven benchmark the poor dear. I'm sure a GPU will help out a little there. 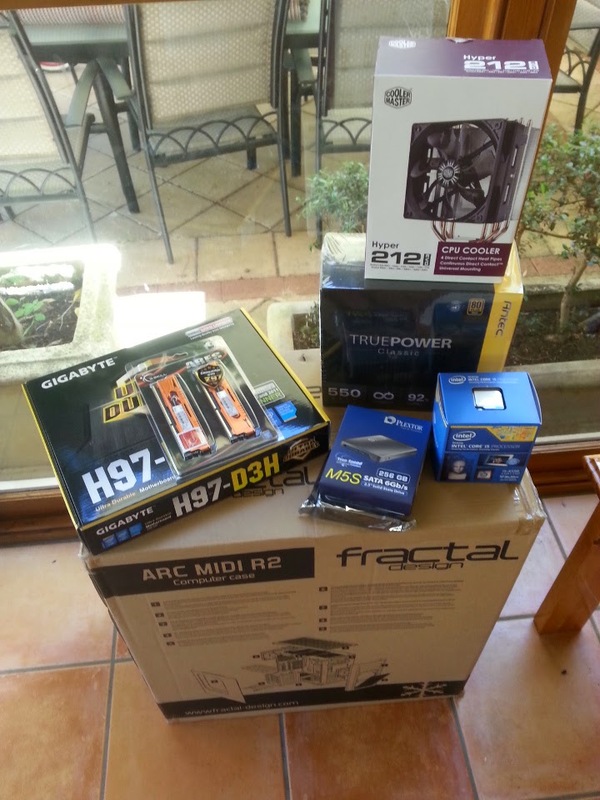 Update: Addendum for the GPU installation.